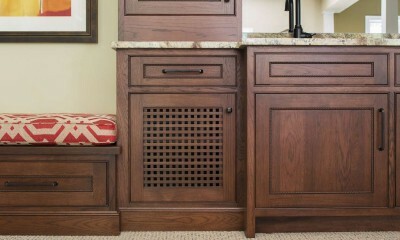 Westford Project - Interiology Design Co. 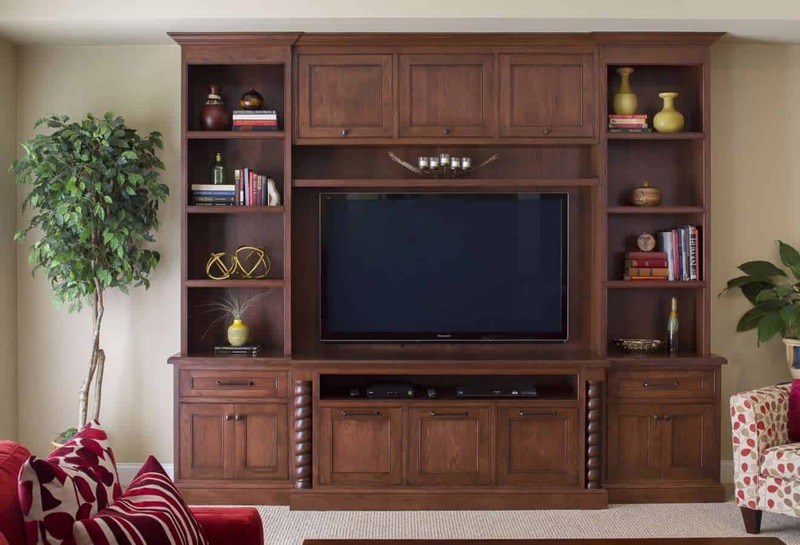 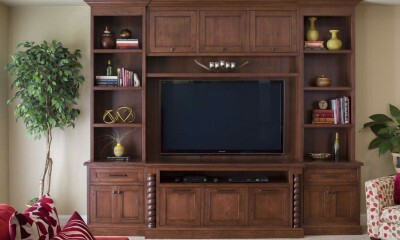 This lower level family room features custom cabinetry in a cherry stain on pecan. 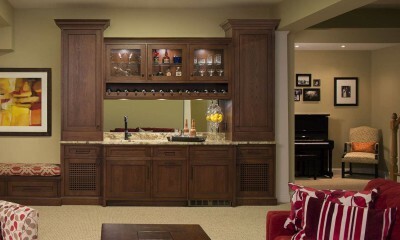 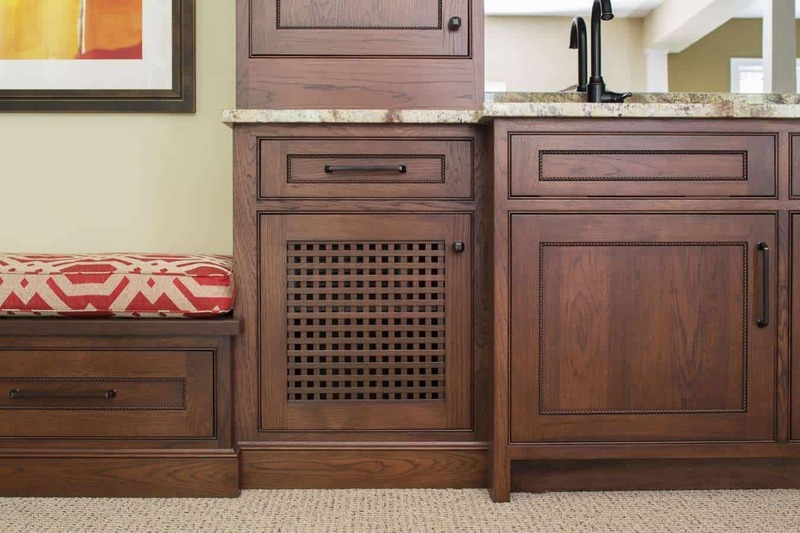 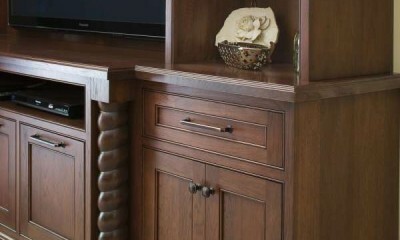 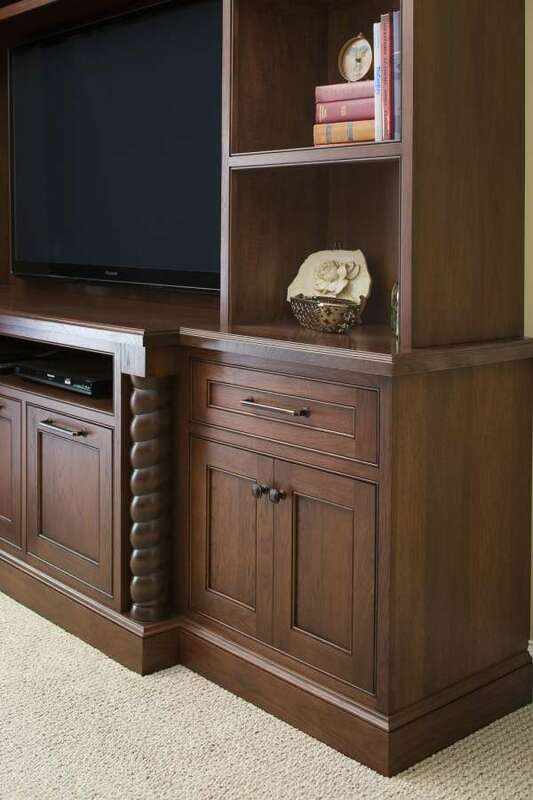 The media center and wet bar include plenty of thoughtful storage and clever detailing.